As the dreaded J1 promotional examinations draw closer and J2s hunker down to study for their Prelims in earnest, more students can be witnessed hunched over their books in the canteen well after 9pm, even on weekends. While this determination to obtain passable grades just once is laudable, there remains the concern of what to eat for mental nourishment whilst toughing it out in the mental battlefield – kid yourselves not, Micky D’s is hardly adequate brain food. Demonstrating our ironclad commitment to improving the lives of Rafflesians everywhere, Raffles Press enlisted the help of two hapless J2s in taste-testing alternatives to the usual fast-food delivery suspects. 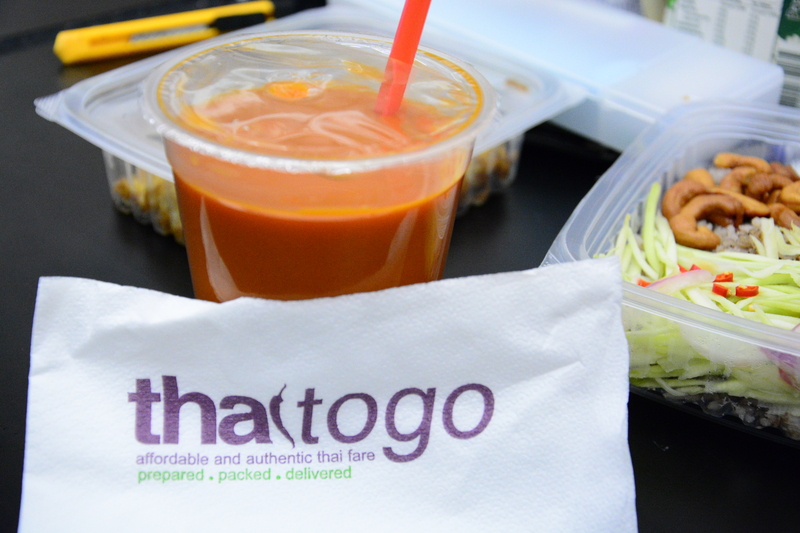 In this article, we review Thai To Go (thaitogo.com), a delivery alternative to the ever-popular Jai Thai. While it is certainly slightly pricey, costing our ravenous taste-testers an average of $15 per meal versus $12 for, say, Pastamania, it’s affordable and decent-quality, and far healthier than a bowl of pasta. 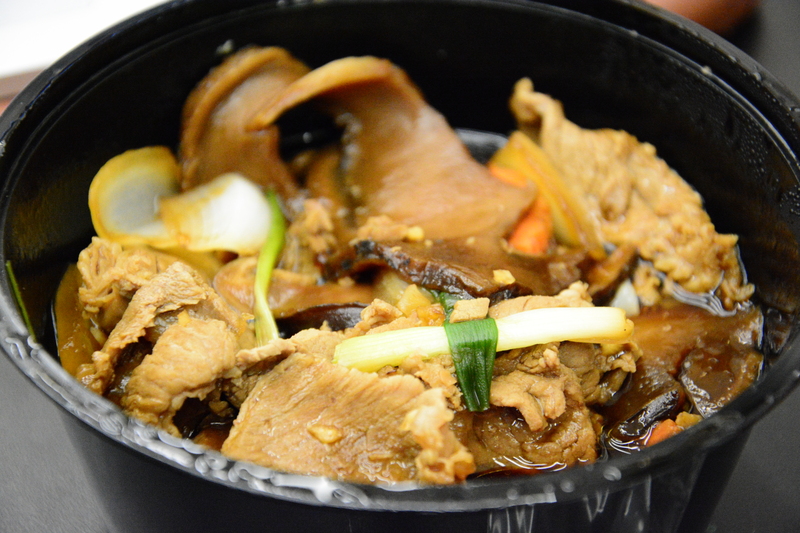 Another plus – the food was piping hot when delivered. 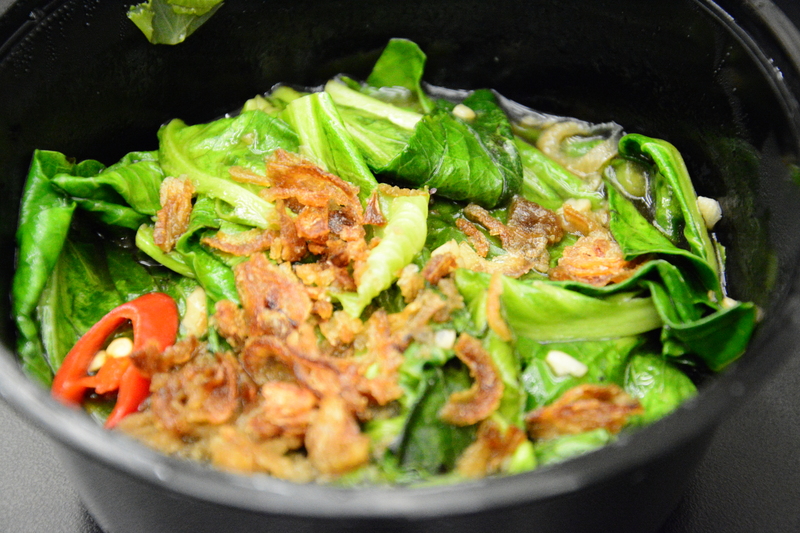 Our guinea pigs taste-testers greatly enjoyed the ‘Baby Kailan with Mushroom’ ($5.95), which came doused in a savoury oyster sauce and topped with fried shallots. It’s also available in a larger portion size at $8.95, but we found the portion size of the ‘small’ option sufficient. Compared to Jai Thai’s olive rice, Thai To Go’s ‘Thai Olive Fried Rice’ ($6.95) had a milder olive flavour, but was still deemed acceptable. The portion size was also sufficiently large. 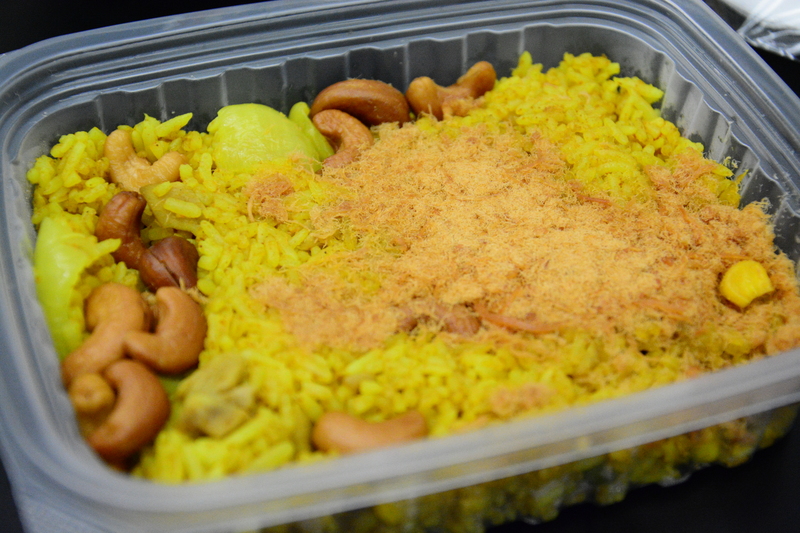 Of all the dishes ordered, our reviewers liked ‘Everyone’s Favourite Pineapple Rice’ ($6.95) the best, which came as no surprise considering the number of similarly positive reviews on other food review sites. Our main gripe would be that it contains no meat; some chili would also have been very welcome. Contrary to its name, the ‘Juicy Beef Stir Fried w/ Spring Onions in Oyster Sauce’ ($9.95) was somewhat overcooked, and tasted tough to our reviewers. Better luck with the chicken. We washed down the meal with their ‘Refreshing Thai Iced Tea’ ($2), which we found slightly too sweet, and not nearly as satisfying as the Jai Thai option. 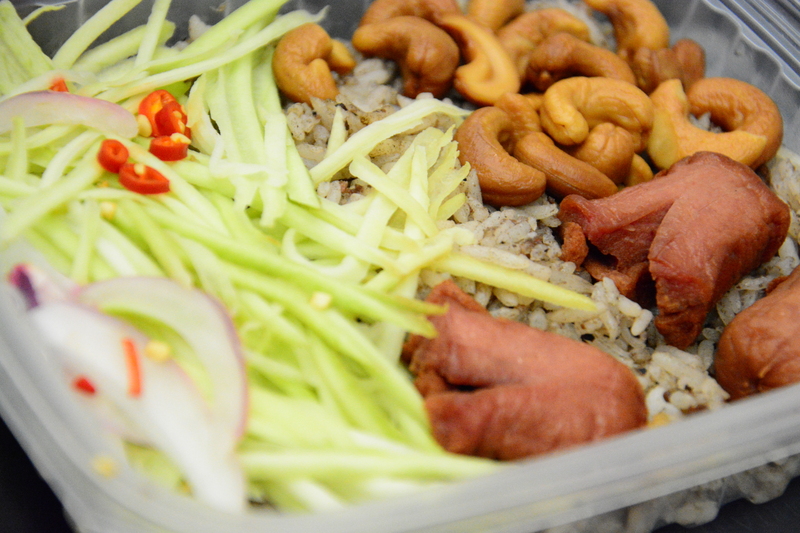 As a whole, Thai To Go serves acceptable Thai fare, which is relatively affordable if you want a non-fast food delivery option for a change. We definitely recommend the pineapple rice, although the remainder of the dishes are subject to personal preference. Other online reviews also recommend their Phad Thai, glass noodle salad and Tom Yam noodle soup. It takes its last order at 8.45pm every day. Be warned: the delivery time takes anywhere from 40 minutes to a full two hours, so order early if you want to beat the peak hour rush.